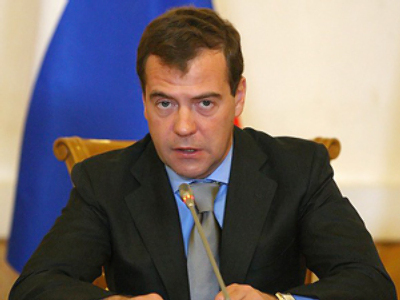 The world’s major greenhouse gas emitters must simultaneously make the necessary commitments, believes Russian President Dmitry Medvedev, speaking in his latest video blog entry. Russia believes that such cooperation is vital. The major economies of the world, and hence the largest greenhouse gas emitters, such as the United States, China, India, Russia, Brazil, and others, must simultaneously make the necessary commitments and strictly observe them. I would particularly like to emphasize that these must be simultaneous commitments and commitments that we all abide by together. Trying to do this on our own will be fruitless and pointless. This is a question of existence itself, and I want to reiterate that we must all be in this together. I also think that we need to use a differentiated approach in determining the commitments of developed and developing countries: we are all in different situations. These commitments must not conflict with economic opportunities or, most importantly, the development priorities of each country. It's obvious that the young industrialized economies will be a greater drain on energy resources than the post-industrial powers that have already developed their economies. I want to emphasize that our country is already a world leader in emissions reduction. Our role in improving the global environmental situation is also linked to the role of our forests. Our contribution should be taken into account by the international community. However, we are ready to set ourselves a new challenge. What is it? It is to reduce greenhouse gas emissions by 25% by 2020, taking 1990’s levels as the base year. This is a very substantial reduction. So between 1990 and 2020, Russia will reduce overall greenhouse gas emissions by more than 30 billion tons. This is a very significant contribution to the world's collaborative effort. We can achieve this by increasing energy and environmental efficiency in our economy. In effect this will be the result of the modernization that we have already devised: the gradual introduction of energy-saving technologies and the development of renewable energy. What do we plan to do? We plan to increase the energy efficiency of our economy by 40% by 2020. This is one of the first orders that I signed as president. As a result, our share in this respect will be better; in particular the share of low-power industries in the energy balance. We have decided on a step-by-step increase in the share of renewable sources in the country's energy sphere. In particular, the share of nuclear energy will be increased by 25% by 2030.